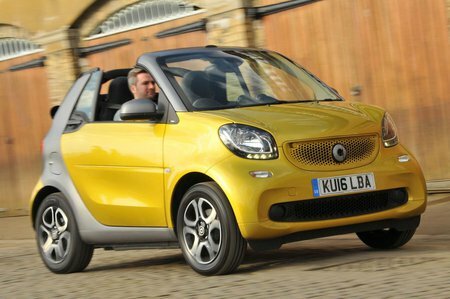 Smart Fortwo Cabrio 0.9 Turbo Prime Premium 2dr Auto 2019 Review | What Car? What Car? will save you at least £1,624, but our approved dealers could save you even more. If you can stretch to this turbocharged, more powerful, version then go for it, especially if you’re doing a lot of motorway miles or live in a hilly area. However, for most people the cheaper 69bhp engine will suffice.